So good, they chose air source twice! 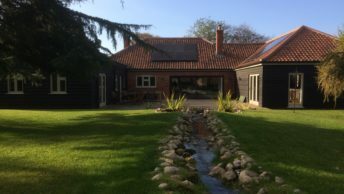 A couple in Breckland, Norfolk, have completed their second heat pump installation with Finn Geotherm, to enable them to continue enjoying heating and hot water at reduced energy bills in their new home. The four bedroom detached house near rural Garvestone was previously heated using ineffective and expensive wall mounted electric panel heaters. 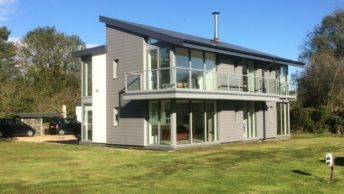 When owners Mike and Ellie moved in, they set about changing it to an air source system, having already had one installed by Finn Geotherm in their previous home. 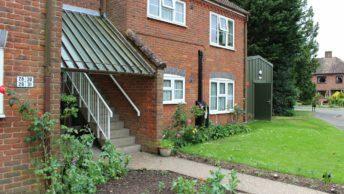 Homeowner Mike explains: “We’d had an air source heat pump installed at our old home and were aware of the great benefits and cost savings of the system. 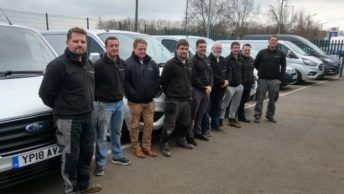 In fact, it was our heat pump and the accuracy with which we could show how much cheaper our heating bills were, that were the deal clincher for our purchaser. The sale went through and on moving in, Mike and Ellie installed a complete new wet heating system. 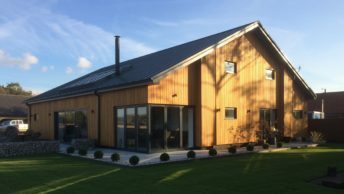 Finn Geotherm specified and installed a Dimplex A12 air source heat pump, along with a 250 litre Dimple EC-Eau Smart cylinder including a combined 40 litre buffer. With the heat pump installed outside the house, the cylinder is neatly tucked in a hallway cupboard. 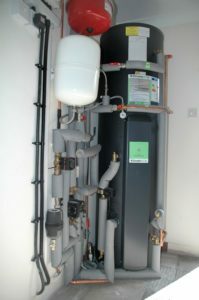 The new air source system also enabled Mike and Ellie to remove a 250 litre water tank in the bedroom wardrobe which became redundant, providing more storage space. As the system is pressurised, they no longer need any noisy shower pumps. AWARD WINNER! 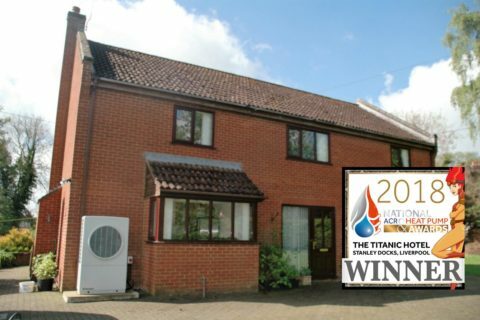 This project was awarded the prestigious title of Domestic Air Source Project of the Year in the National ACR & Heat Pump Awards 2018.